Back in the days of soft bricks and even softer mortar, repointing was a necessary practice. With wet weather and freezing temperatures, both the bricks and the mortar would slowly erode leaving loose bricks and unstable walls. Repointing is simply the process of scraping out the loose mortar joints and repacking with new mortar which is a task that should be ongoing. If neglected for 150 years, it gets to be a problem. 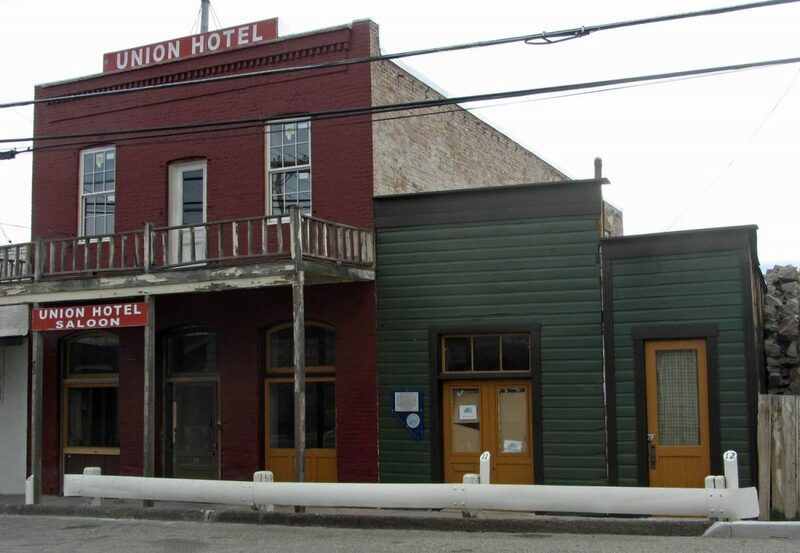 The Union Hotel has gone a very long time without repointing so some of the repair issues are more extreme. In this case, a window sill has gotten so much water that the bricks have disintegrated. With a little digging, the entire sill turned to rubble. Fortunately, we were able to salvage enough old bricks from a decorative walkway in the backyard to replace what had crumbled beyond usefulness. 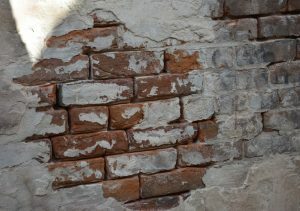 Using vintage brick for repairs is critical because new bricks are much harder than the original Gold Rush era bricks and using them will hasten the decay of old bricks adjacent to them. Also the new mortar has to be formulated to be as soft as the old mortar for the same reason. A modern Portland cement would just destroy the bricks around it. We have more than enough extras; in fact, there is a layer of bricks on top of the roof sheathing for fire protection. 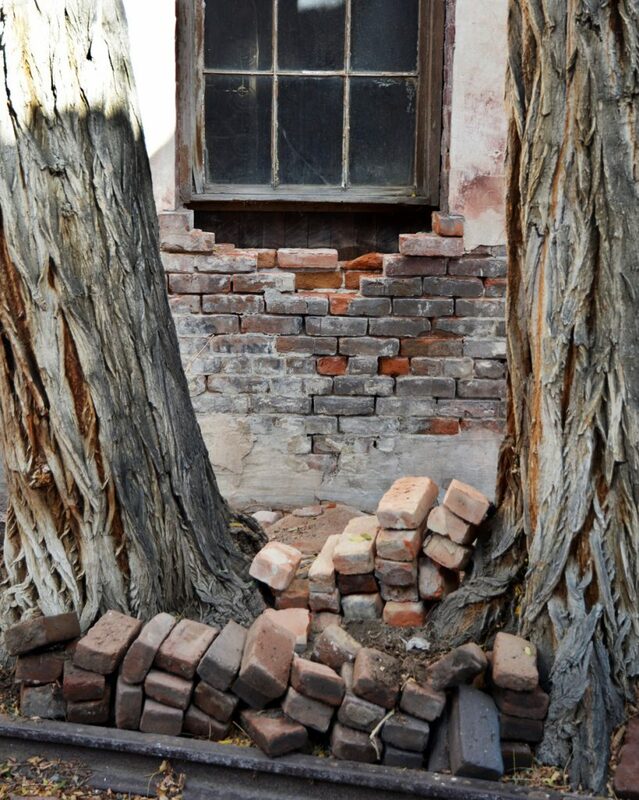 We’ve been told that 150 year old bricks are valuable but the trick will be getting them down. Previous Previous post: Batten Down the Hatches!